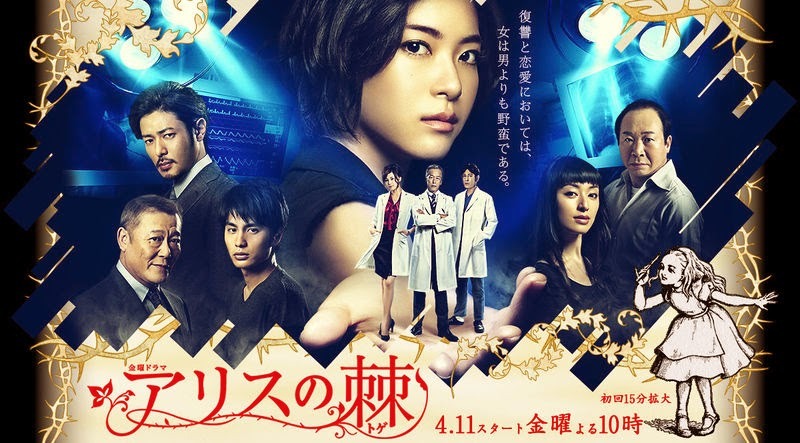 Alice no Toge #Jdrama Initial Review: Want "Revenge"? Hello. This is a Korean in America. This is my initial review of the first 2 episodes of the Japanese drama called “Alice no Toge”. It has been a long time since I did a Japanese drama review. There may be something in the Chinese “Yellow” sand that has been blowing over Korean and Japan for the last few years. It seems that the quality of the shows have been dropping since the end of the last decade. That decade was a great decade for dramas coming out of the two countries. In the case of Korean dramas, it seems like they are going through growing pains. Korean dramas had never been as well written as Japanese dramas for several reasons. These reasons are well known to Korean drama viewers. The audience is very limited with homogenous characteristics. The actors have limited acting ranges since they are pop stars rather than serious actors. And there are not enough writing talent built up in Korea because no one reads and no one is interested in other thing else than making money, drinking, fooling around, and keeping up appearances. However, with the recent boom of Korean dramas throughout the international markets, the supply of Korean dramas increased without the companioned growth of the industry’s infrastructure. In the case of Japanese dramas, it seems that they have reached their creative peak. One thing that I could always rely on Japanese dramas for was tight story structures. The shows were built around a theme and stuck to that theme for most of the time. They were like well edited novellas or weekly articles. Now, it is rather different. Currently, Japanese dramas seem to be adrift stuck between the more soap opera like Korean dramas and the American shows. The Japanese drama “Alice no Toge” seems to fall in that gap too. At its core, “Alice no Toge” is the Japanese version of the U.S. show “Revenge” but set in a Japanese hospital. The protagonist is a young female doctor joining the staff of a large teaching hospital. She seems like a typical doctor with a bright future ahead of her if she does what she is told. This is Japan after all! You do not move ahead without doing what you are told. However,owe4 she has a secret. She is not here to build her career but to take revenge on the people who were involved in the death of her father who died on the operating table. 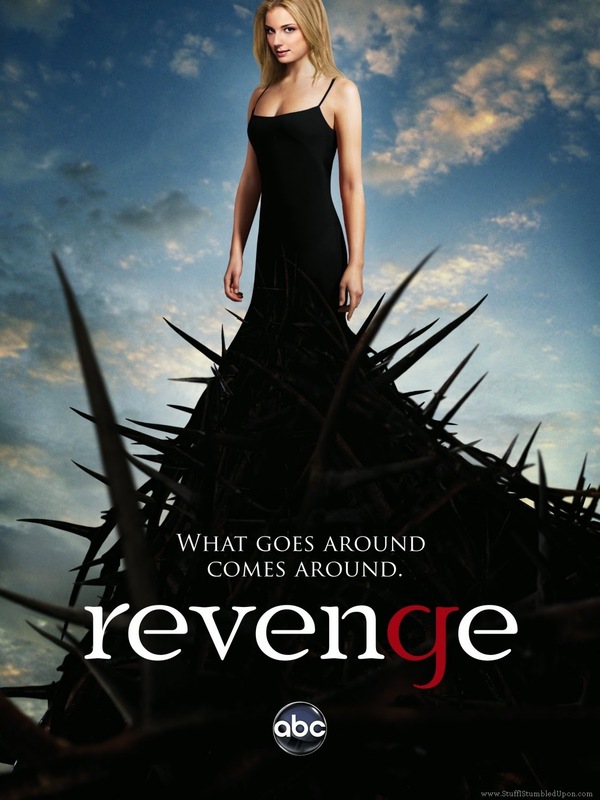 This is a “Revenge” clone show. As a clone show, it is decent enough. The actors are decent and I like the female lead played by Ueno Juri. While her presence is not radiant, her performance did remind me of how Emily VanCamp played basically the same role in “Revenge”. The problem is that “Alice no Toge” does not respect the villains in the show. Not only are the villains 2 dimensional comic book bad guys but the manner in which our protagonist goes by her revenge is very amateurish. As a result, it is rather difficult to suspend one’s disbelief. The format of every episode, after watching the first 2 episodes, seems to start with our protagonist going after her target who was involved with her father’s death. Then, she ruins their lives to a degree but then follows up by blackmailing them into submission. Just think about this format! This format is a well-worn format used in many U.S. TV show. However, this is mostly used in shows that are episodic and thus resets itself every episode or show which move around. In the case of “Alice no Toge”, the setting does not change. Our protagonist is still at the hospital where her future targets and her former targets she is blackmailing currently still are. Not only is the revenge half-assed since they still are around even though somewhat ruined, they know who she is and what her intentions are. This is a very difficult situation to manage. If our protagonist was a more impressive character, I could believe that the situation would be possible to manage. However, she is not that! Dexter much? Oh you don’t watch that show? Japanese dramas tend to do what I termed Japanese Gothic well. Japanese Gothic shows create a hyper reality within a relatively common setting that makes us believe this high concept plot could come to be. The key point of Japanese Gothic is control. If the show loses control of its hyper reality, the suspension of disbelief crashes down. This is the case of “Alice no Toge”. It fails to fully establish its hyper reality. So, at the end of each episode, we end up waiting for the protagonist to do what is the logical end to her actions. Taking real and brutal revenge! However, we are left disappointed. The show is pulling its punches which is not good for a show about revenge. It is all about landing its punches. The show needs to be dark and not just pretend to be dark. It needs to Dexter it up! Also the whole "Alice in Wonderland" thing does not work at all! The protagonist sends her victims "Alice in Wonderland" theme calling cards. Why does that exist in the show since the show has nothing to do with "Alice in Wonderland"? It only makes the protagonist feel like a serial killer and thus makes us feel disappointed when she is just mostly for show. “Alice no Toge” is not a terrible Japanese drama. However, it is a rather disappointing one. As a clone of the U.S. show “Revenge”, “Alice no Toge” makes “Revenge” feel intelligent and believable when compared to itself. This is not a good thing. “Alice no Toge” is simply one of those recent Japanese dramas that pulls its punches and tries to be an after school special while also wanting to be edgy. It does not work. I will give the show a C+. Steaming link: Good Drama Net. I guess the good news is I've never watched Revenge so I won't be able to compare them. This is still on my PTW list. else than making money, drinking, fooling around, and keeping up appearances." At first I thought you were being sarcastic with this comment because it's so harsh. But then I realized that this described too many Korean women I know (who I assume are the target audience of Kdramas). It also describes most of the females in Korean dramas... Is this why every other Kdrama has to have a chaebol prince? And why most K-romances don't have a single interesting conversation? In a way, I was being a little sarcastic. However, there are truth to it. On the other hand, it is more overall Korean characteristic and not that gender specific. Korea tends to be hyper competitive. Thus, things that do not directly contribute to making money and getting ahead tends to fall by the wayside.